Acclaimed screenwriter John Fusco’s thriller follows the exploits of Louie Mo, once Hong Kong’s greatest stuntman turned Los Angeles knee-breaker, as his latest target unexpectedly casts him in the role of a lifetime. Leaving behind a successful career as a stunt double in Hong Kong to escape entanglements with the Chinese mafia, Louie Mo now makes his living in Los Angeles as a hired knee-breaker, putting fear into the hearts of people reneging on payments to investors. Troy, an aspiring director with NYU credentials and encyclopedic movie knowledge, is beginning to realize that he’s made a deal with the devil by agreeing to direct a film for producer Avi Ghazaryan. When Avi’s sketchy investors hire Louie to scare Troy into finishing their movie, Troy’s reverence for film and keen eye save him from a beating when he recognizes Louie Mo as the stuntman extraordinaire he once was and begs Louie to take the lead role in the movie based on Troy’s own pet screenplay. For Louie Mo, this chance at redemption might be his last. As his past catches up with him and his body becomes ever more broken down, he teams up with Troy in a race against the clock—and the bad guys—to pull off an impossible film of epic proportions. 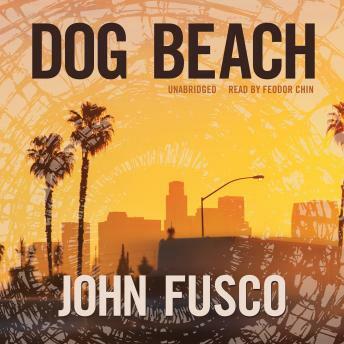 Dog Beach is a fast-paced, smart, and hilarious thrill ride. Equal parts dark satire and high-velocity action novel, it’s perfect for fans of Elmore Leonard and Don Winslow.